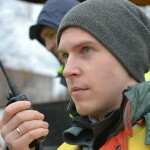 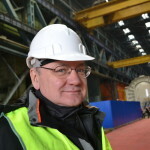 111020, Moscow, 2nd Sinichkina str., House 9a, p. 7, 6th floor. 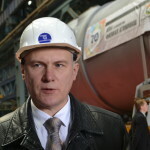 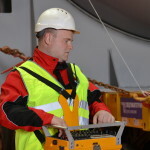 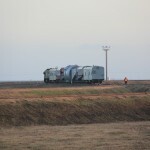 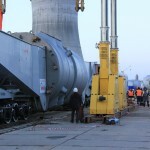 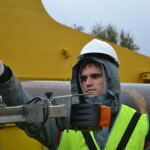 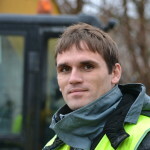 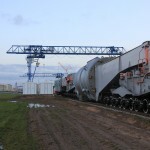 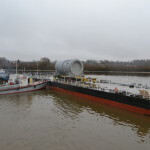 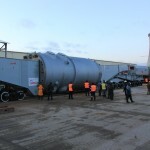 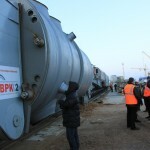 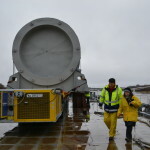 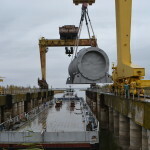 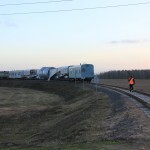 On December 26, 2015, the reactor vessel was delivered to the construction site of the first unit of the Belarusian nuclear power plant in Astravyets. 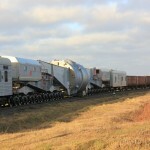 The whole transportation stage took 72 days. 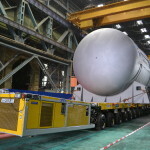 The reactor vessel was placed at the storage site of the plant equipment yard. 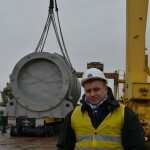 The dimensions of the Belarusian nuclear power plant’s “heart” are impressive: its weight is 337 t, length — about 10 m, diameter — about 4.8 m. The vessel has an extended service life time. 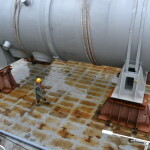 It’s designed for 100 years of work with a service life of 50 years. 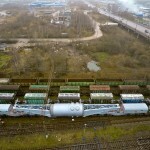 This valuable load has travelled a long way by water from the Tsimlyansk Reservoir in Volgodonsk, up the Volga-Don Canal, and along the river Volga passing by such cities as Saratov, Samara, Ulyanovsk, Kazan, Nizhny Novgorod, Yaroslavl, Cherepovets, through a Volga-Baltic canal, Lake Onega, the river Svir, Lake Ladoga, up the river Volkhov and to the Veliky Novgorod dock. 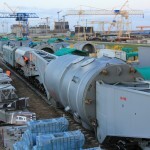 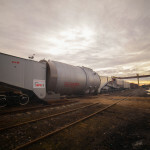 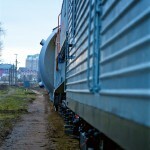 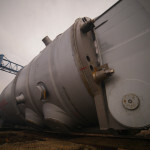 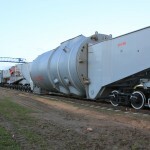 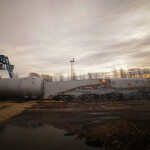 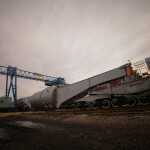 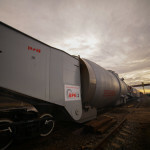 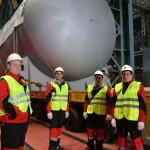 The most complicated stage of the nuclear giant transportation — its debarking from the barge to the autotruck and further transfer to a special railway transporter for oversized and overweight cargo — was completed in Veliky Novgorod from November 10 to December 14. 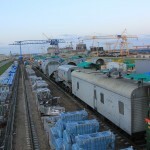 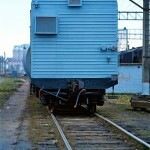 Railroad transportation took another 10 days. 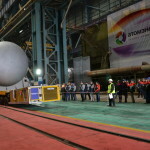 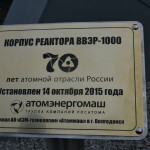 The reactor was manufactured at the Volgodonsk subsidiary of JSC AEM-technology, Atommash, in accordance with the international contract on the first Belarusian nuclear power plant construction. 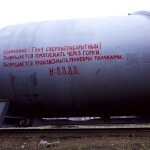 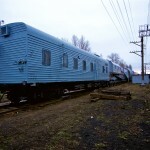 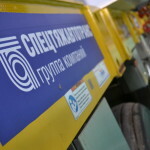 The transportation was performed by the pioneer of oversized and overweight cargo shipment industry — “Spetstyazhavtotrans” group of companies, created in 1970th in USSR.